Its not much of a stretch to guess what a pinball game is about so I am not going to waste a lot of time here. It’s pinball for crying out loud. Some of you young whipper snappers might not remember these machines but I remember when my dad and I would get fish and chips when I was a kid and we’d play the pinball machine whilst we waited for the food to cook. I love pinball machines and it’s nice to have some good pinball games coming over on the XBox at a budget price. There are 3 tables on this edition and the physics of the game are good enough that you can sort of pretend you are standing in front of the proper machine. There are a swag of mini games built into the core table games on this title and they all provide an interesting diversion from the main gameplay action. The title also provides for up to 4 people to muck around at the same time. The tables themselves have great levels of detail and provide a pretty realistic pinny experience. 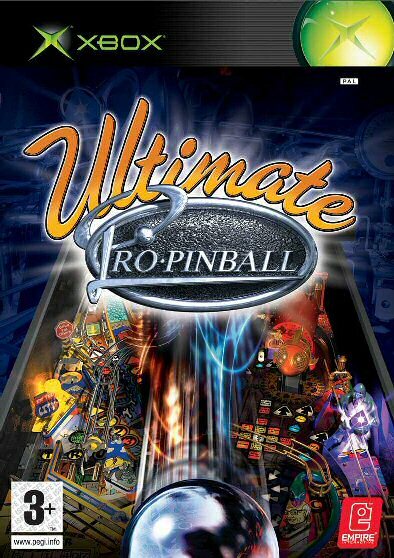 Add to that the fact that this is a budget title that in my opinion should be a must own title for all pinball enthusiasts! BIG RACE USA A crazed road trip across America, featuring 16 major cities as play zones. With innovative opponents - Monster Truck, Hot Rod, Sports Car, Mini, Beetle and Police Car. A multi layered adventure through six different time zones from Prehistoric through to the future! Travel back to eccentric Victorian times, with five steam powered adventures, use your flippers to tunnel to the centre of the Earth, journey to the depths of the seas, fly through the tallest mountains and speed to a mysterious island to stop the evil General Yagov!